The estate is close to the Headford Road retail parks, which house outlets including Dunne's Stores, Tesco, and Woodies, and is a short stroll from Eyre Square and the host of amenities available in Galway city centre. It is a quiet development, and with no through traffic it would make an ideal family home or shrewd investment. Internally, the house has an entrance hall, with living room to the left. This is a large, bright, room with feature fireplace. The kitchen/dining area is accessed from the end of the hall and is a very large room with variety of kitchen units and a tiled floor. To the rear of the house is the utility room, plumbed for a washing machine and dryer. The garden is also accessed through the dining room via sliding patio doors or also from the utility room. There is a guest wc under the stairs. The first floor houses four bedrooms, main bathroom and one en suite. There are average sized gardens to the front and rear of the property, and there is off street parking in the front driveway. Additional features include enclosed low maintenance rear garden, corner site, parking in front driveway, green area to front, and PVC double glazing and oil fired central heating throughout. 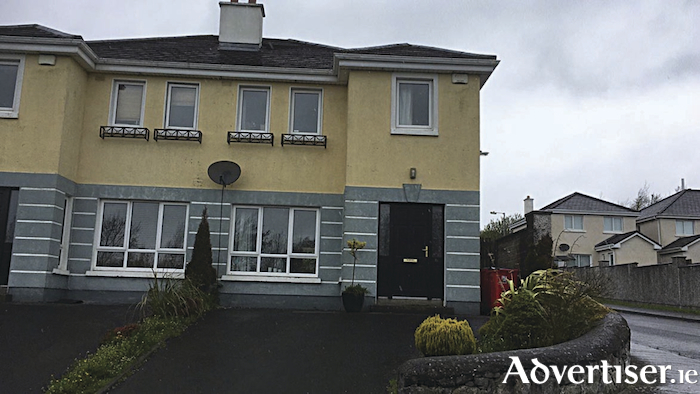 The property would be an ideal starter home or investment property due to its convenient location close to Galway city centre. The BER is C3. Guide price is €250,000. For further details contact Olivia Lynch of Lynch auctioneers on 087 9921226 or 091 566157.